Ok kids, if you’ve been paying attention, you realize that I (and others) think that there’s more going on in one’s mind than can be described by any process identified thus far. That I (and others) disagree with many scientists and probably most neurobiologists who believe that consciousness will one day be understood as a biological process albeit one quite complex. I once read a complicated book, The Emperor’s New Mind by British polymath Roger Penrose. He’s a respected scientist who thinks like I do. I guess I should say thinks like I would if I had an IQ of 220 or so and didn’t have to use a calculator to do simple math. Simply put, he believes that consciousness is the result of quantum processes that occur in structures far smaller than atoms (Planck scale) called microtubules in the brain. Furthermore he says, “It doesn’t even act according to conventional quantum mechanics. 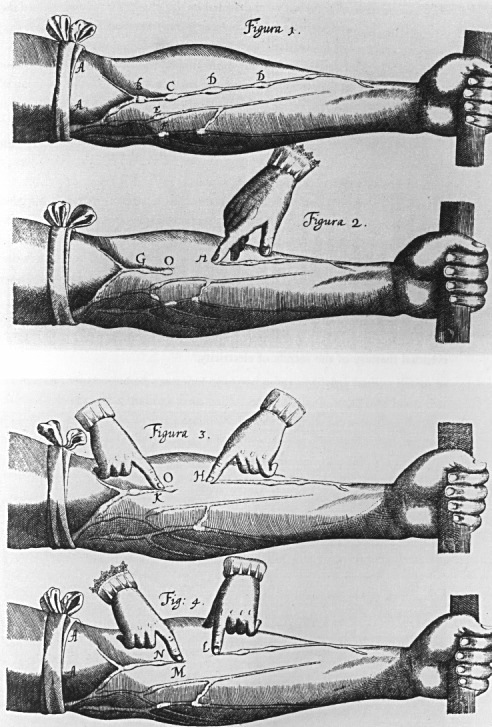 It acts according to a theory we don’t yet have.” He then goes on again to draw an analogy with the research of William Harvey who was the first (westerner anyway) to describe the circulation of blood in the body circa 1616. Prior to this it was thought that darker blood originated in the liver and lighter in the heart; that the two types had different purposes; and were consumed throughout the body. Harvey figured out that arteries carried blood away from the heart and veins back to it and was certain that the two types of vessels had to connect, but couldn’t prove it without a microscope powerful enough to see things the size of capillaries. Penrose is a widely respected physicist and has won many awards and though some might disagree, most take him seriously. He theorizes that at that very small scale there is an abstract realm of Platonic ideals/mathematical reality that influences the quantum processes and thus the biochemistry, and thus the drama of our lives. 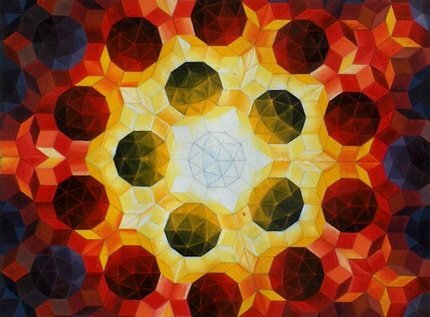 A rich connection with this dimension allows gifted mathematicians, musicians, artists, etc to make discoveries. Given the spectacular ability of mathematics to describe our universe, this sort of makes sense even if it is difficult to fathom – if you know what I mean. Where did this all come from? Penrose says that consciousness, all consciousness arose with the big bang. An Italian astrophysicist calls it the “Big Wow”. Where will this take us as understanding grows? Hold on to your chairs, truth is always stranger than fiction. Suffice it to say that, though they have evolved at different speeds, religion and science will converge. “Half the people in the world think that the metaphors of their religious traditions, for example, are facts. And the other half contends that they are not fact at all. As a result we have people who consider themselves believers because they accept metaphors as facts, and we have others who classify themselves as atheists because they think religious metaphors are lies”. Joseph Campbell. Hameroff: I agree with you. My take is that there exists a fundamental Platonic wisdom embedded in the Planck scale (along with qualia, spin, charge, etc) which has inspired mankind to write the great books and act “in the name of God”… but man being man, many such efforts are misdirected, co-opted and perverted. This entry was posted on December 18, 2009 at 9:21 pm and is filed under consciousness/psychology, Cosmology, Religion, Science. You can follow any responses to this entry through the RSS 2.0 feed. You can leave a response, or trackback from your own site. So if consciousness originated at the big wow and has existed in its extreme microscopic scale since the beginning of time what does it do when there is no host?